Compliance doesn’t have to be complicated, at least it shouldn’t be. As the foundation for a successful business, adhering to regulations, aka maintaining compliance, will have a large impact on your processes and should be used as a guide when designing workflows. Unfortunately, for far too many operators, the mere mention of regulations is still cause for anxiety. Luckily, there are best practices that business owners can use to increase accountability while also enforcing laws. 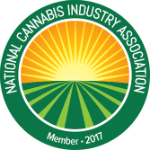 One of the most beneficial things a cannabis business operator can do for themselves is to hire cannabis specialists and partner with established industry solution providers with a narrow, yet refined, area of expertise. For inventory control, oversight, and accountability, you can rely on solutions like BioTrackTHC. For compliance assessments, our friends at Adherence Compliance are best-in-class! Adherence Compliance has conducted more than 800 cannabis compliance inspections in the United States. By leveraging our expansive database, Adherence knows where Dispensaries, Cultivation Centers, Manufacturers and Distributors fail. Need to accomplish all of the above? BioTrackTHC cannabis software and dispensary POS is able to handle a the majority of these processes. Coupled with the Adherence SCORE App, there are few ways to greater optimize your compliance. This blog was originally shared by Adherence Compliance and has been slightly altered to identify the issues that are able to be addressed with the BioTrackTHC cannabis track and trace solution. Want to learn more about BioTrackTHC’s industry-leading cannabis track and trace software or cannabis POS and how it can help you address the compliance concerns listed above? We’re one of the only cannabis software providers in the industry to offer a full-vertical tracking solution! Contact our knowledgeable sales reps to learn more!